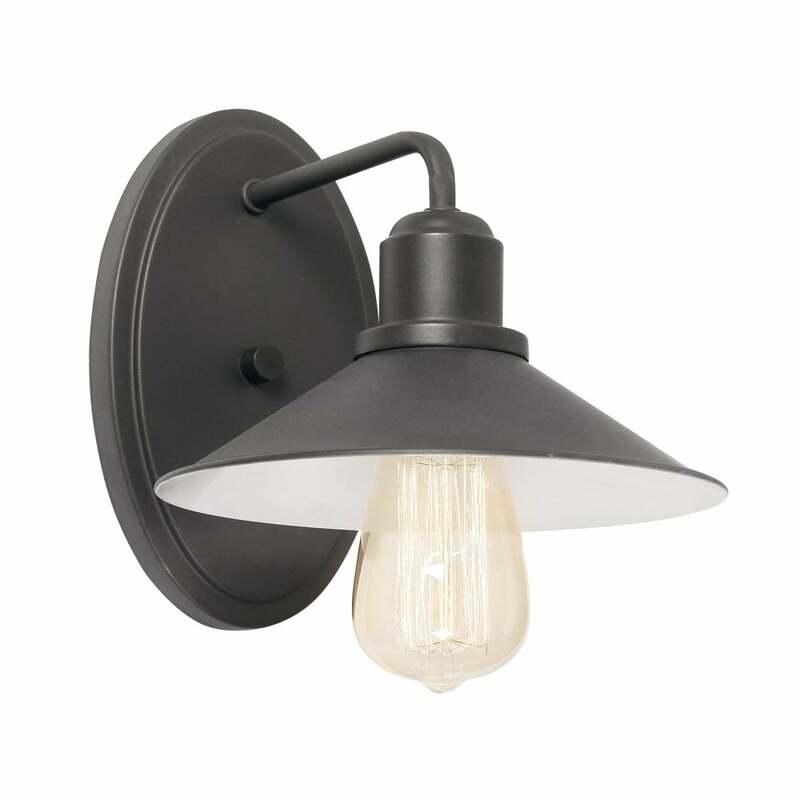 Oaks Lighting Dalvik single light wall fitting features a large circular back plate with extending arm and a wide brim fisherman style shade in black finish. The product code is 7147 WB BK. This industrial design fitting will add a retro look to any modern or traditional styled decor within your home and teamed with vintage style filament lamps will complete the look. The Dalvik range also includes a single , 3 or 5 light pendant and single light wall fitting which can be viewed on our website.